Who Writes For Your Injury Lawyer? As a trial lawyer, my job involves advocating for injured clients. Much of that advocacy revolves around the written word. So, I ask — Who writes for your lawyer? Maybe the better question should be — Why hire a lawyer who cannot (or does not) write his own blog posts, his own marketing materials or even his own legal briefs? Yes, I do know several lawyers who claim to be personal injury attorneys but cannot even write their own briefs or motions. Are you just hiring a marketer who wants to sign up cases for other lawyers to work? Are you just hiring a marketer who wants cases he or she can quickly negotiate for a small settlement? If you are just hiring a marketer, skip that lawyer. Go directly to an attorney who can fully advocate for you. It can make a huge difference in your ultimate settlement. As I’ve stated in the past, any lawyer can advertise on a billboard, television or radio. 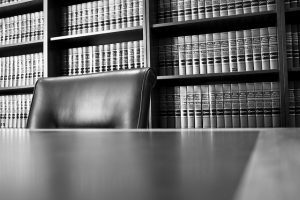 In Huntsville, we have one group of lawyers who previously handled DUI cases. Suddenly, these lawyers decided to post billboards seeking personal injury cases, immigration matters and elder law issues. Wow! Their website tells the truth in the fine print disclaimer — they are signing the personal injury cases to refer them elsewhere for part of the fee. That’s shameful. I believe it is also unethical. Clients deserve better – They deserve lawyers who really know and really practice their specialty. For over two decades, I’ve heard the stories of people genuinely hurt in car accidents and work-related injuries. These injured people need a specialist. We’re starved in this country for the real and authentic voice of a lawyer engaging with real people – corporate employees or consumers. Blogs are the perfect vehicle for expressing the voice of a lawyer. But make it the unedited voice of a person. The Huntsville billboard lawyers are not alone. Genuine writing is a sad rarity in attorney advertising. Almost all attorney advertising is short on true discussion of legal issues. Beyond the glare of billboards, just look at the number of legal blogs (secretly) run by marketers who post canned, generic articles. These “services” will post articles under the name of their attorney or law firm client. That also lacks authenticity. Another local law firm recently started using just such a canned content service. The posts are clearly not written by a lawyer. What’s worse, the posts appear in similar format on other legal “blogs” by different law firms. That’s right, the content is largely copied with a few minor changes. What’s the purpose? That law firm marketing service posts materials for key word Google searches. The posts are not the authentic voice of the lawyer using the service. And, it shows. The multiple firms using the same canned content are doing a disservice to the legal profession. Advocacy involves the art of writing. Yet, many lawyers who market themselves as personal injury trial lawyers do not, will not, or cannot, write. I’m certainly not a stickler for perfect grammar. If you read my articles or blogs, you know that. What is important to me — they are my articles and my posts. They are my content. They are written by me. I cannot stand the canned, fake materials some lawyers purchase from marketing companies. The authenticity of writing is important to me. That’s why I also wrote the text and articles for my firm website. Essentially, holding out another’s work product as one’s own is deceptive. Lawyers often use blogs to discuss recent developments in the law and breaking news in their area of practice. Some lawyers use blogs to provide legal information to clients, former clients, potential clients and members of the general public that might be interested in the lawyer’s area of practice. Lawyers that outsource this work to a non-lawyer and do not review their work before it is posted also do a grave disservice to the members of the public that may visit the lawyer’s blog. Passing off someone else’s writing or ideas as one’s own, in a marketing vehicle designed to induce potential clients to hire the lawyer is not only unethical, but a bad way to initiate a professional relationship that is supposed to be built on trust. Those are strong (and true) words. Potential clients are looking for authenticity. In today’s world, it’s easy to create a great visual website. Any lawyer can add some awards to his or her website. Any lawyer can claim practice areas whether or not true. Some lawyers even have biographies and pictures of retired lawyers on their website — passing them off as practicing attorneys to make the firm look bigger. It’s easy to advertise on television, a billboard or radio without authenticity. Now, many lawyers are doing the same on the internet by hiring spam content generators. At the Blackwell Law Firm, it’s a question of authenticity and trust. Beyond the work on our current cases, we teach, write and participate in community activities. That’s how we market our personal injury practice.